The ooDACE Toolbox (Design and Analysis of Computer Experiments) is a powerful and versatile Matlab toolbox for building kriging surrogate models of a given data set (e.g., based on computationally expensive simulations or physical experiments). 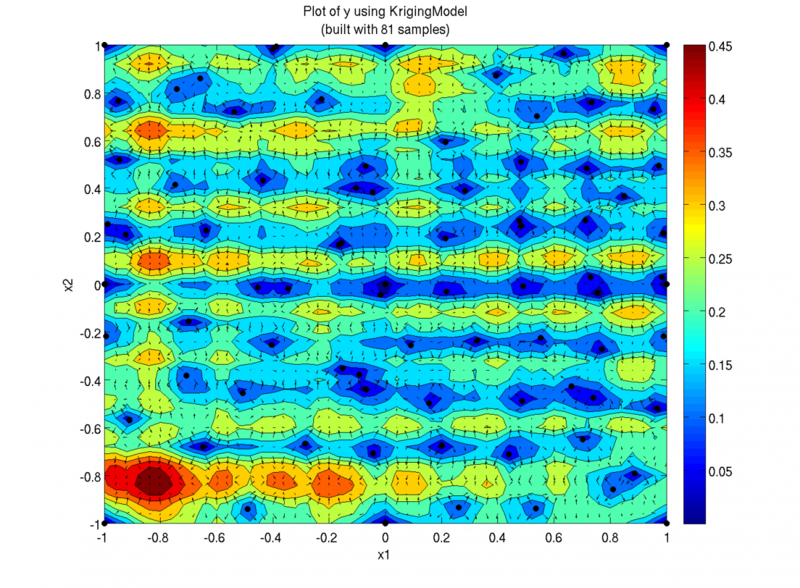 Kriging is, in particular, popular for approximating (and optimizing) deterministic computer experiments. 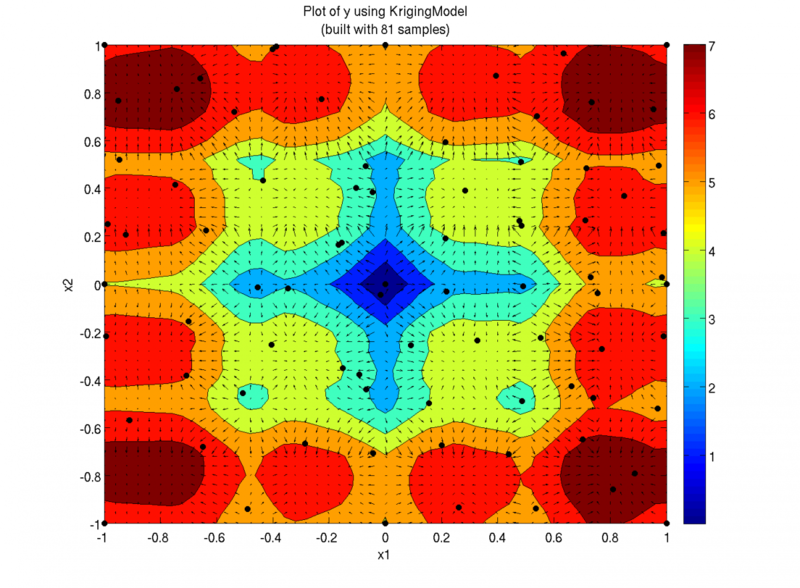 Kriging surrogate models are compact scalable regression models which can be used efficiently for design automation, parametric studies, design space exploration, optimization, yield improvement, visualization, prototyping, and sensitivity analysis. 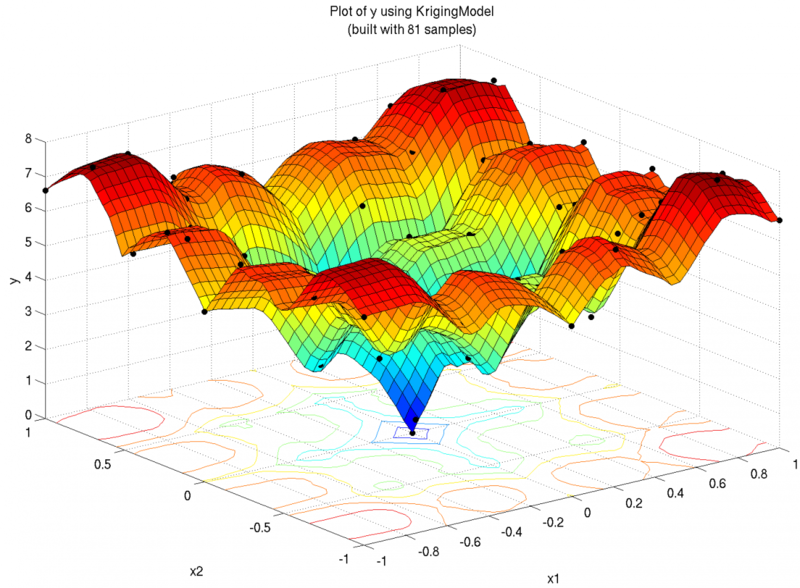 The ooDACE Toolbox provides a flexible Object Oriented Matlab implementation, easily extendable and well-suited to test and benchmark new kriging flavors. Matlab 2015a or newer is recommended. Support for several variants of kriging: simple kriging, ordinary kriging, universal kriging, blind kriging, co-kriging,regression kriging, etc. Includes extra helpful tools: cross-validation, robustness-criterion value, prediction mean and variance + derivatives (e.g., for sensitivity analysis), variograms, debug plots, etc. Open Source version, only (3) for personal, non-profit, pure academic research and for educational purposes . For details about (1) a commercial license or (2) an academic license for applied industrial research, please see the order form and use the contact form. Academics can download (3) the open source version from the menu on the left, for personal, non-profit, basic or pure academic research only. Some restrictions might apply. Note that free unrestricted or flexible licensing schemes are available for research partners (aiming at collaboration, data exchange, or joint publications). ooDACE Toolbox: A Flexible Object-Oriented Kriging Implementation I. Couckuyt, T. Dhaene, P. Demeester, Journal of Machine Learning Research, Vol. 15, pp. 3183-3186, October 2014. Blind Kriging: Implementation and performance analysis I. Couckuyt, A. Forrester, D. Gorissen, F. De Turck, T. Dhaene, Advances in Engineering Software (Elsevier), Vol. 49, No. 3, pp. 1-13, July 2012.